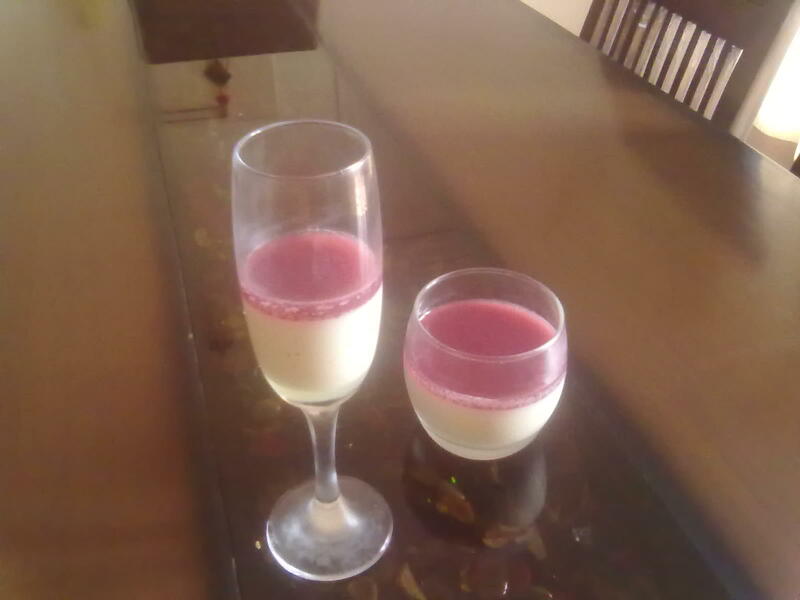 The last time I tried pannacotta it was Litchi with Mango Jelly it turned out to be a disaster and did not set at all.This time around they were perfect, maybe because I was not too stressed about it. 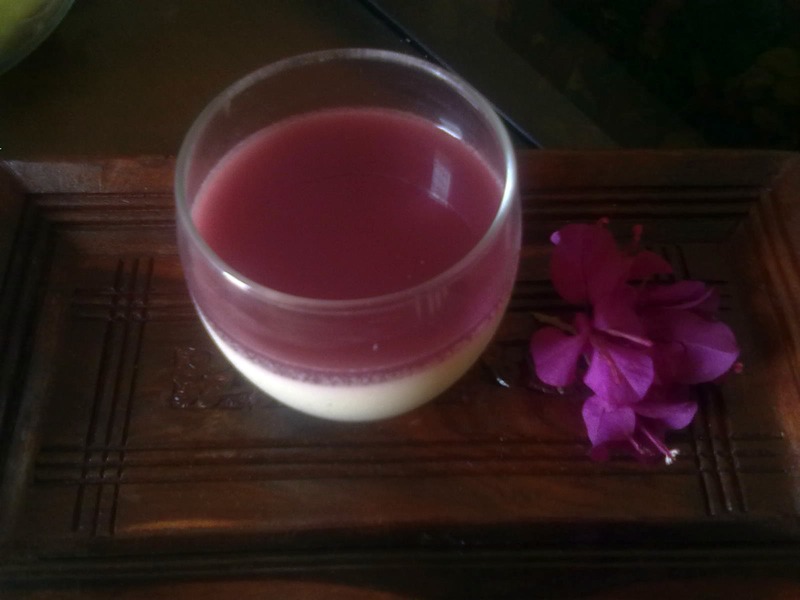 Panncotta is essentially a cream dessert and incredibly calorie laden but extremely tasty if you get it right. 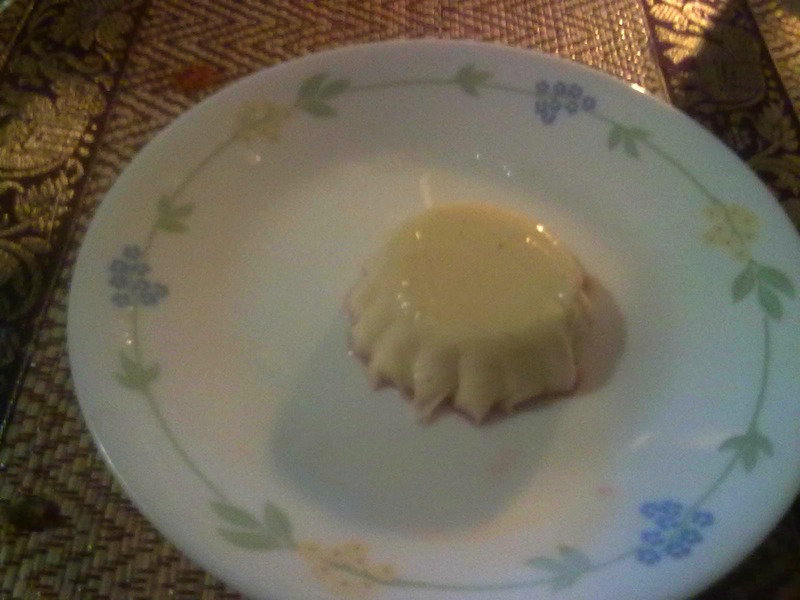 The last one was supposed to be very light and calorie free and I am not sure if the lack of cream was also a factor in the pannacotta not setting. The jelly is a great idea and I really must thank Tanya at Sinfully Spicy for that one. I have discovered the BBC Good Food Magazine for the last 3 months and have been trying various recipes off and on. 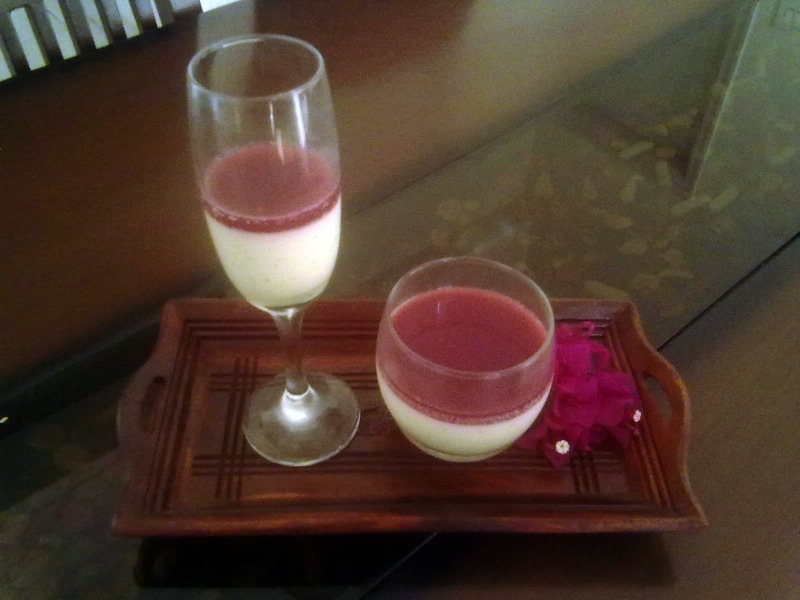 There have been three different pannacotta recipes featured in the past three months and I have combined all three to get one that suited me and the amount of ingredients I had in the fridge. The recipe calls for whole cream and Gordon Ramsey used 600 ml of full fat cream and another recipe called for 375 ml full fat. I had medium fat cream and that too only a 200 ml pack, so that was that. Again calls for full -fat milk. I had homogenised Amul milk. Worked fine. Gordon’s recipe used very little milk and the other recipe used equal parts of milk and cream. Next time I may try to reduce the amount of cream and see how that goes. Available in most stores and supermarkets nowadays are a lovely flavor. And I love to see the tiny black vanilla granules floating in the pannacotta. 5) Gelatin – 1 tablespoonful and a bit more soaked in really 4 tablespoonfuls of cold water. Add the milk, cream, sugar and vanilla pod to a wide-mouth pan and bring it slowly to a boil while stirring continuously. Let it simmer for half a minute and then take it off the burner. Add the gelatin and stir it in till completely dissolved. Let it cool down to room temperature, strain and then pour into moulds or glasses to set. Put it in the fridge for about 5 hours. I soaked this gelatin in the pomegranate juice itself because it was so cold having come out straight from the fridge. Mix water and sugar in a bowl and warm till dissolved. Add the lime juice. Remove from burner and add the gelatin soaked in the pomegranate juice. Stir till gelatine is completely dissolved. 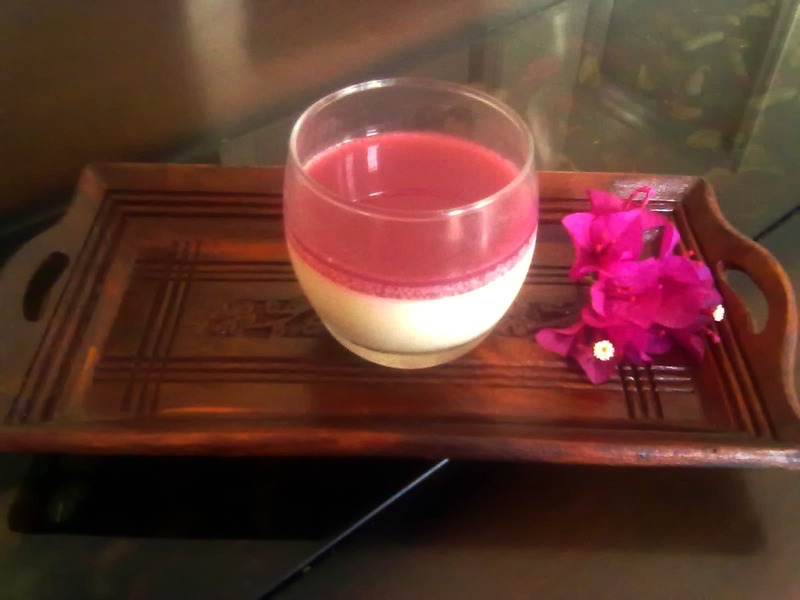 Strain and then pour over the set pannacotta and let it set in the fridge. Then its just a matter of digging in!! 1) Because one must wait for the pannacotta to cool before pouring into glasses I decided to try and set them in the muffin tins I have by lining them with cellophane sheets. They worked very well. Only thing is my muffin tins are those really cheap ones and so the shape was not really nice. And they came out upside down which means I should have made the pomegranate jelly before the pannacotta to get it at the top. But next time watch out! 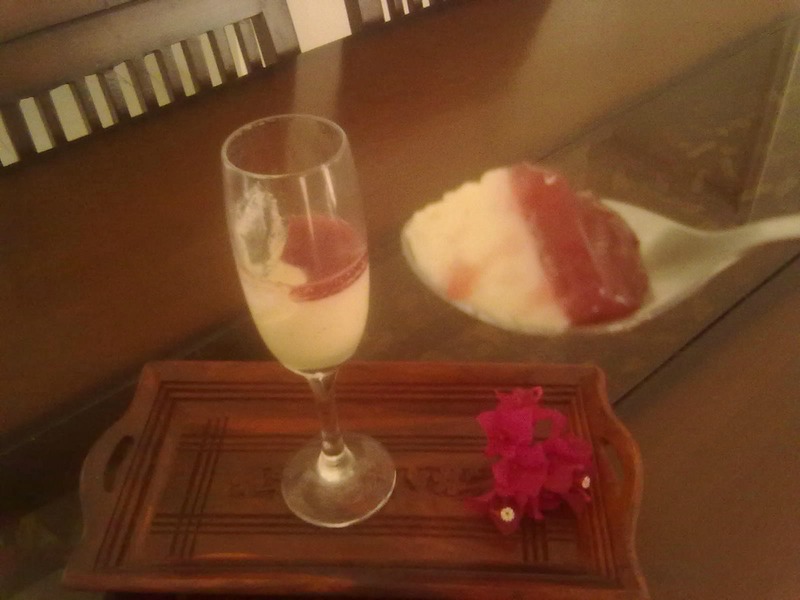 2) The pomegranate jelly can be added 2 hours after the pannacotta without the danger of it all turning to mush. Thank you for visiting my blog Neeru 🙂 I too have fallen in love with the new BBC good food mag. It allows me to mix and match and boosts my own creativity. Your posts deserve beautiful photography.